Without self-forgiveness procrastination can snowball. People often dislike, criticise and put themselves down for their procrastination. In a new study, though, Wohl et al. (2010) wondered if this self-blame may be counter-productive. By following 119 first-year students through two midterm examinations, the researchers tested whether self-forgiveness about procrastination before the first midterm was associated with less procrastination before the second midterm. Another way of thinking of this is in terms of approach and avoidance behaviours. Because we tend to avoid things that make us feel bad, pent up guilt about a task will make us avoid that task in the future. Self-forgiveness, though, may reduce guilt and so make us more likely to approach the task. This explanation highlights the fact that we don’t just have emotional relationships with people, we also have them with tasks. Some tasks we like and look forward to like trusted old friends, while others feel more like muggers stealing away hours of our lives. The design of this study doesn’t tell us how easy it is for those who are hard on themselves to begin exercising self-forgiveness because it only examined what participants did naturally. Unfortunately psychologists have little evidence about the process of self-forgiveness, they only know it’s ‘A Good Thing’. Perhaps just knowing that self-forgiveness is healthy is beneficial. I hope for all our sakes it is. 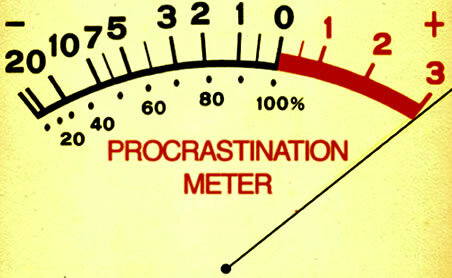 → Also check out: how to avoid procrastination.